Circuit City, the country's second-largest electronics retailer, has filed for bankruptcy protection. Circuit City has filed for Chapter 11 protection after the company revealed about a week ago that it was closing 20 percent of its stores and laid off hundreds of employees. 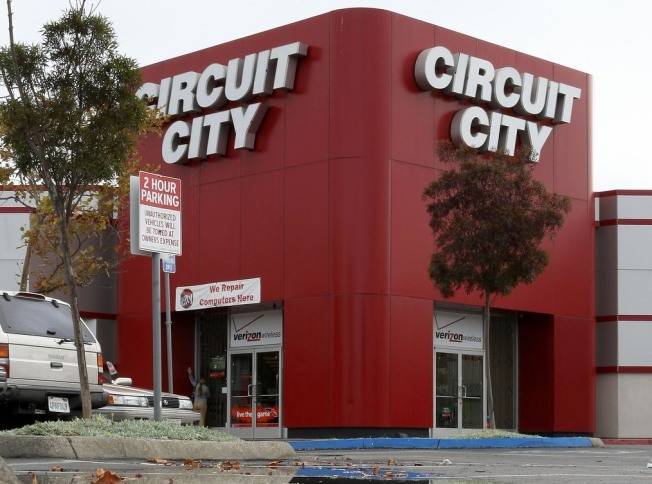 Circuit City filed for bankruptcy protection on Monday. Chapter 11, or bankruptcy, protection generally allows a company to hold off creditors and operate normally while it strategizes a financial reorganization plan. The Richmond-based electronics retailer has been struggling as cautious consumers spend less and credit has become tighter in a sluggish economy. Circuit City said it has more than $1 billion in assets and more than $1 billion in liabilities. Courts do not require companies to provide more specific figures in filings. The company said it anticipates it would have money to distribute to unsecured creditors, who get paid last. Circuit City, which has had only one profitable quarter in the past year, has faced significant declines in traffic and heightened competition from rival Best Buy Co. and others. It said it decided to file for bankruptcy protection because it was facing pressure from vendors who threatened to withhold products during the holiday season. The company's biggest creditors are its vendors: Hewlett-Packard has a $118.8 million claim followed by Samsung ($115.9 million), Sony ($60 million), Zenith ($41.2 million), Toshiba ($17.9 million) and others. Smaller creditors include GPS navigation system maker Garmin, Nikon, Lenovo, Eastman Kodak and Mitsubishi. Circuit City said it had lined up $1.1 billion in loans to provide working capital while it is in bankruptcy protection. That replaces a $1.3 billion asset-backed loan it had been using. Loans to operate while in bankruptcy are called debtor-in-possession, or DIP, loans. The company said in its filing that it had $3.4 billion in assets and $2.32 billion in liabilities, as of Aug. 31. Circuit City posted a wider second-quarter loss in September with a 13 percent decline in sales at stores open at least a year. The company has been under new leadership since late September when Chief Executive Philip J. Schoonover agreed to step down. He was replaced by James A. Marcum, who is now vice chairman and acting president and chief executive. Shares in Circuit City have traded under $1 for more than a month and the company received a warning about that last month from the New York Stock Exchange.